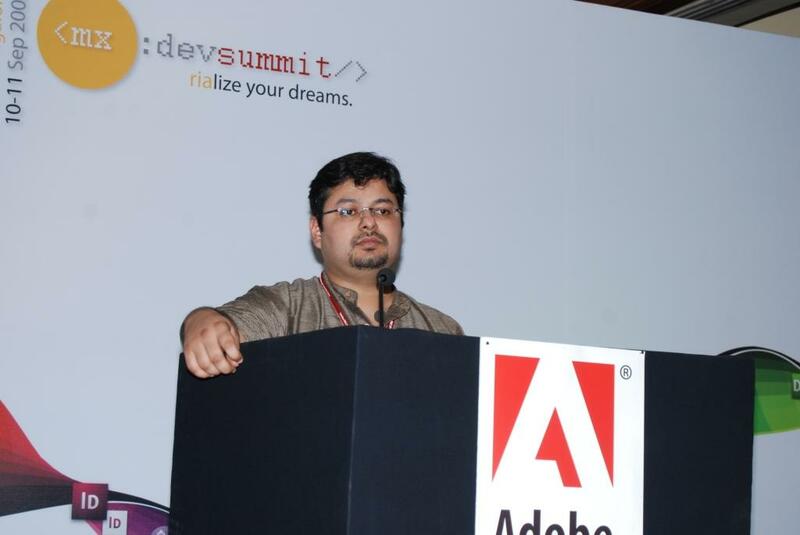 I was a speaker at the recently concluded RIA Developer Summit 2008 in Bengaluru, India. Was my first presentation at a public conference and it felt nice to interact with the users of the product we build. Look forward to seeing everyone at future events. Ctrl + O brings up a list of methods in the opened file. Did anyone know that on pressing Ctrl + O again, the popup shows methods from the base classes also? Cricket is one of the unofficial religions for lots of Indians. While the use of technology on field is going to be a debatable issue for sometime to come, there is not doubt that any technology enabling a cricket follower to get scores faster and more reliably is going to be one of the hottest things in town. Get your hands on a copy of the desktop client checkout Cricket Center beta here. A small demo of the features of the client is available here. For the technology enthusiasts, this client was built using Adobe AIR. To do this in the GUI, you need to start up the services manager and then set the state of the respective services. I am not a major user of the Zoom functionality in the MS Ergonomic keyboard. I would rather set the zoom key to scroll up and down in applications. After hunting around the configuration utility supplied with keyboard I was still clueless about the zoom key’s configuration. I then spotted a command.xml in the installation directory of the config utility. Editing a couple of sections did the trick .. There will be similar entries against specific applications also, so you can modify the behaviour for specific applications by editing the corresponding entries over there. We’ve all been troubled the tele-marketing people at some point of time or the other. It is indeed interesting to know that some banks have finally started maintaining “Do Not Call Registers”. Some telecom operators also provide the facility of registering your phone for the “Do Not Disturb Service”. I was planning to list some sites here, when I found this interesting blog.